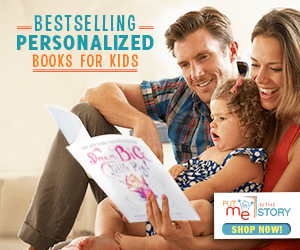 Between this week and last, I've got a good range of nonfiction books for all ages! I do think nonfiction goes unappreciated quite often, so if you've got a child on your gifting list this holiday season, perhaps give some of these a try. "All hail King Baby! He greets his adoring public with giggles and wiggles and coos, posing for photos and allowing hugs and kisses. 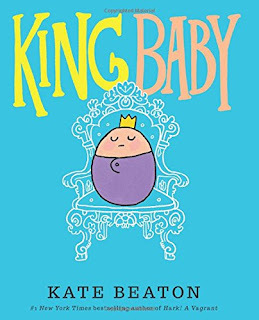 But this royal ruler also has many demands, and when his subjects can't quite keep up, King Baby takes matters into his own tiny hands." If I hadn't just birthed a baby of my own last year, I probably wouldn't have appreciated this book nearly as much as I did. So, granted, this book was completely hilarious, totally on point, and illustrated perfectly. It's true: babies are totally in charge. 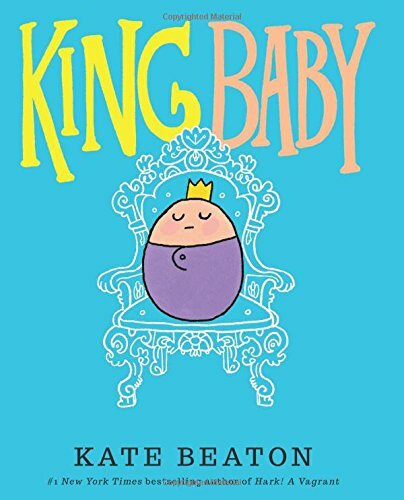 I particularly enjoyed the use of voice; the "king baby" is the one telling the story and his regal nature is just dripping from the page. His pride in being king and frustration with his "fools" of subjects is communicated so perfectly, it's so funny. Cap that off with Beaton's comic-esque illustrations and it's just the right combination of "it's funny but it's true." Truly a joy to read, though I don't know if kids will quite praise its existence as much as parents will (they'll definitely still like it, especially the ones with younger siblings). 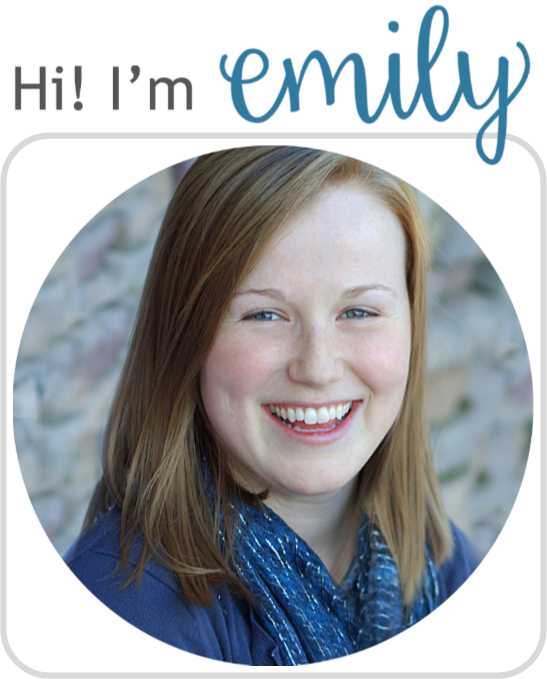 Give a try and see for yourself! "Have you ever wondered what the world looked like when dinosaurs roamed the Earth? Eight-year-old author Elliott Seah did, and took it upon himself to find out more. In his first book, he takes readers on a fact-filled exploration of these amazing creatures from our planet’s distant past. 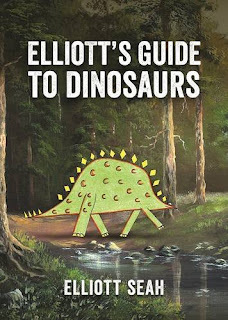 Elliott provides fascinating answers to important questions about the dinosaurs’ origins, what they ate, how they lived, and how a mass extinction brought their time on Earth to an end. 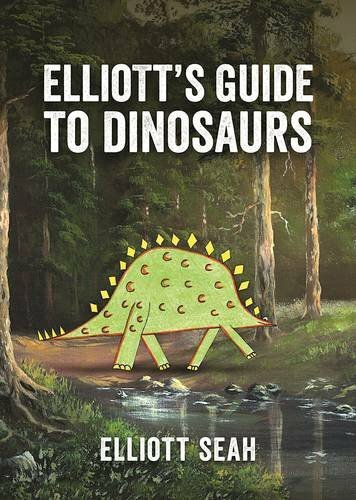 Helpful extras include resources for further reading, and a list of Elliott’s recommended museums with dinosaur collections." What's awesome about this book is that an eight-year-old wrote it. But that also may be part of the problem. It's by no means totally in depth, but a simple overview of about 500 million years of Earth's history. Seah reports on just twelve dinosaurs, from different time periods, while also brushing on a lot of dinosaur generalities (diet, defense, attacking, etc.). I don't really know how he decided on which specific dinos to spotlight, or much of its organization (beyond a timeline). It's broad and generally informative. So while it might not be your first grab for a reference, it's still impressive. He certainly knows his stuff. Really, it'd be so cool to show kids: look, a kid your age wrote this and just think what you can do! Kids may like it most for that reason. I'm not the biggest fan, but kids will probably think it's pretty cool. "Ever wanted to take apart the microwave to see how it works? Crack open your computer and peek inside? Intrigued by how things work? So are we! That's why we're dissecting all kinds of things from rubber erasers to tractor beams! Read along as National Geographic Kids unplugs, unravels, and reveals how things do what they do. Complete with 'Tales from the Lab,' true stories, biographies of real scientists and engineers, exciting diagrams and illustrations, accessible explanations, trivia, and fun features, this cool book explains it all!" Really, National Geographic is a pretty great source of knowledge, and it's hard to go wrong with any of their books. This was a great balance of basic information overviews and in-depth explanations of how many things work. But the overall selection of the inventions discussed felt pretty random. 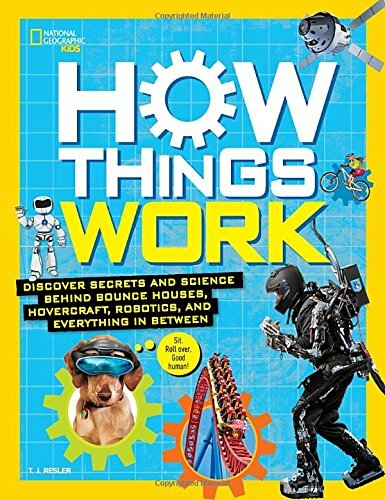 There's some useful topics (I liked reading about tablets in particular), some funny (of course they did toilets), and some that are pretty far out there (tractor beams and invisibility cloaks and more). It's definitely a read-as-you-want type of book: just pick one item to read over, gloss over just your favorites, or read front to back. Kids can have their fun with this one. Really, I just see it more as an abbreviated version of The Way Things Work, which is really the best book in this category. So give this to younger kids or as a fun, random reference.